The Peoples Democratic Party, PDP, on Tuesday, carpeted the President Muhammadu Buhari’s administration, saying the country’s economy fared better during the party’s 16-years than it is now. In a series of tweet on its twitter handle, @pdpNigeria, the opposition party charged the APC to focus on resolving the economic woes currently ravaging the country. 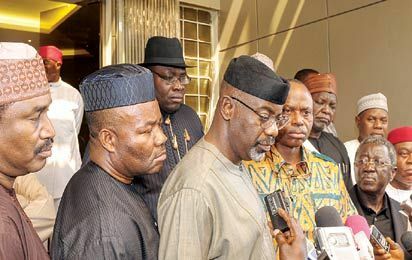 The opposition party also slammed the National Chairman of the All Progressives Congress, APC, John Odigie Oyegun, over his recent comment, saying the data it presented on the country’s economy was doctored. PDP had recently presented a statistics, which painted the country’s current economic picture in bad light. “APC should focus on resolving the economic woes they have brought on Nigerians. “Chief Oyegun’s response to our media statement of 19/08/2016 is a summary of the APC led FG– long on prose & badly short of substance. His retort that we hired spin doctors to bandy figures is badly unfortunate. “Our collective misfortune is made worse when we consider that the chairman of the ruling party thinks that figures that show the parlous state of the economy under the APC-led FG are spin or that the poor state of the economy is an act of God.